The use of artificial fertilisers around the world to boost agricultural production is both vital and constantly under critical scrutiny. Developing products that provide optimum benefits both economically and from an ecological viewpoint is an important challenge for the artificial fertiliser producer. Very small quantities of oil are employed in the production of artificial fertilisers. The market demands optimal products and every link of the chain must be taken into consideration, including the properties of the oil being used. Choosing a naphthenic oil for the anti-caking system of fertiliser pellets can contribute to a more attractive product. This oil has outstanding abilities to dissolve substances and a high level of refinement that provides distinct advantages over most of the other oils currently used. Artificial fertilisers consist of various combinations of nitrogen, phosphorous and potassium compounds. Depending on its composition and use, artificial fertiliser is normally available as liquid or solids, i.e. granules or pellets. In this article, we deal only with solids, the predominant form for artificial fertiliser in Europe, Asia and Africa, and also an important form in North America. Using them in a solid form simplifies the handling of artificial fertilisers and means that the contents are released more slowly into the soil. This reduces the risk of nutrients leaching out. The surface of individual granules must be treated, however, to ensure that granules do not cake together or form dust. A free-flowing and dust-free fertiliser is important for handling at all stages, from production to end use. Some fertiliser manufacturers make their own anti-caking systems, while others buy in ready-made mixtures. An anti-caking system mainly consists of two components: an additive and an oil. Sometimes a powder of talcum or clay may also be used during the treatment of the granule. The additive, which often contains amines, plays the most important part and is also the most expensive ingredient. The oil functions as a carrier for the additive. The oil is sprayed on the granules and the powder is dispensed as needed and attaches itself to the surface. An alternative to this treatment is to use a ready-made mixture containing oil, amine and, for example, wax. Such mixtures are usually used without powder. The oil has to have good solubility properties to enable it to effectively dissolve the amines. This means that naphthenic oil, even a very highly refined oil with a low aromatic content, functions well in this respect. A highly refined paraffinic oil has poorer solubility properties and therefore works less well. It must also be possible to pump the oil at low temperatures if it is to function practically in the mixing process. This is possible with naphthenic oils, while the corresponding paraffinic oils would have to be warmed to higher temperatures. 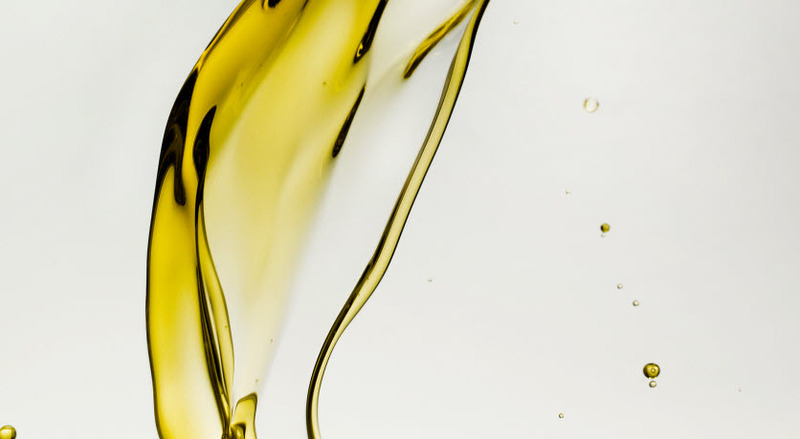 Neither highly refined naphthenic base oil nor highly refined paraffinic base oil are currently the obvious choice for the makers and users of anti-caking systems. 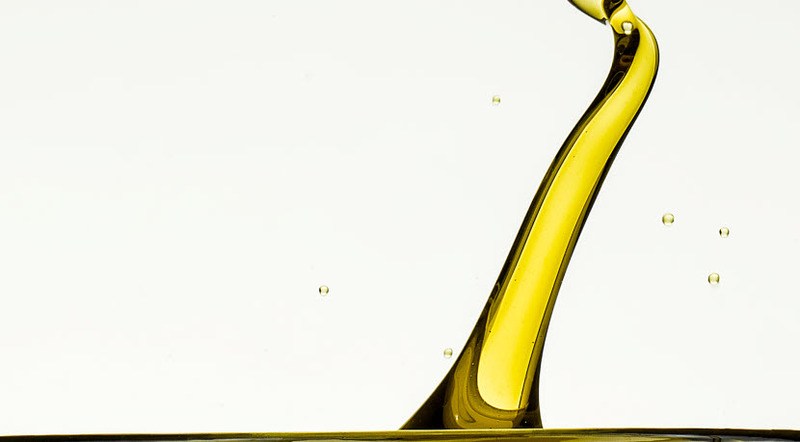 A number of different types of oil are used, from vegetable oils to diesel oils and less refined fuel oils. That less refined oils can be included in products that are spread on the fields is not actually as strange as it sounds, since the amounts of oil are extremely small. You have to bear in mind that environmental requirements do not always relate directly to actual environmental consequences. But there are other arguments, apart from reduced environmental impact, for using a highly refined oil. An important one is that a highly refined product is virtually odour free. You cannot ignore the psychological impact of the strong oily smell that is given off by fertilisers in warm silos, when anti-caking systems containing less refined oils have been used. Another characteristic that is interesting from the market viewpoint is colour. A highly refined oil does not have a strong colour. When an oil is highly refined it means that the material’s aromatic content is low and the polyaromatic content, the PCA, is extremely low. In addition, the sulfur content is very low. It is polyaromatics that are responsible for the undesirable characteristics when it comes to toxicity. Aromatics, however, give good solubility properties. As long as the aromatic content is high, then, it does not matter so much whether the oil is naphthenic or paraffinic. It is when you are looking for a highly refined alternative that the good solubility properties of the naphthenic molecules become interesting. 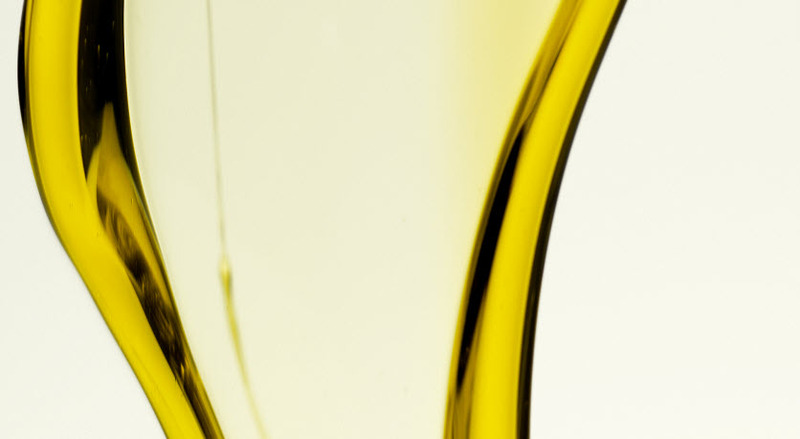 Nynas has long had customers who use naphthenic speciality oils for anti-caking systems. Since interest has increased in recent years, we are now developing a new product series called Nyfert for this particular market. 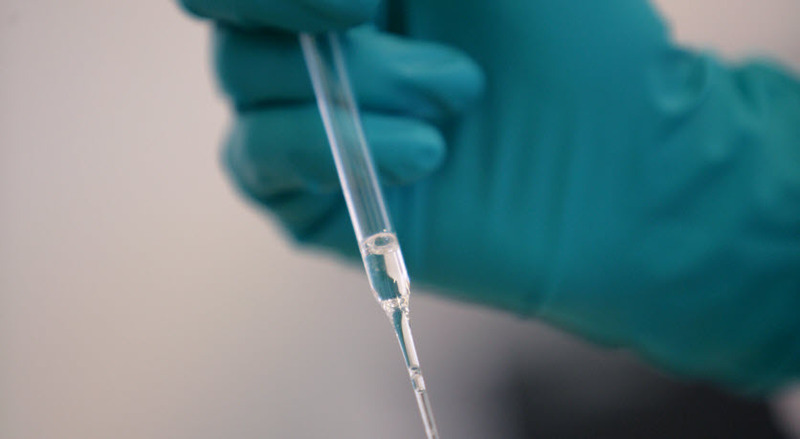 To get the desired properties the oil has a high degree of refining and thereby a DMSO extractable content of less than 3 wt% according to IP 346. This corresponds to a low PCA content and means that the oil does not have to be labelled. Nynas Naphthenics provides oils in various viscosity classes. Different oils can be suitable depending on what type of problem and fertiliser is being dealt with. 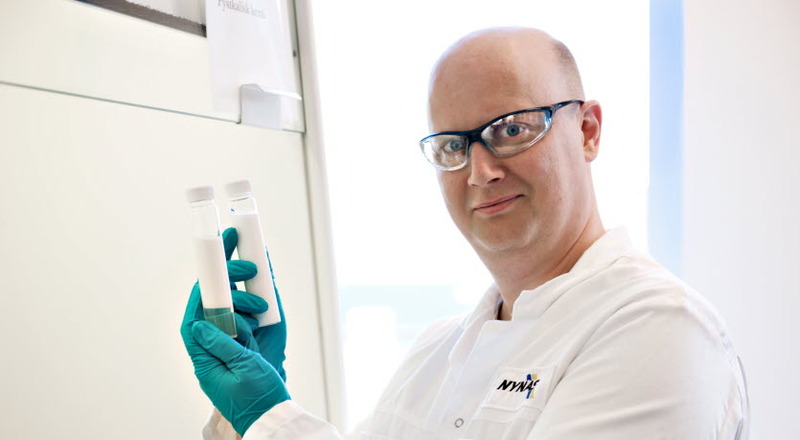 We carried out tests using Nynas oil Nyfert 400 and Steamine S to demonstrate the oils’ function. Steamine S is a talcum with amines from Talc de Luzenac, which also carried out the tests. Important parameters were caking tendency (fig. 1), dusting tendency (fig. 2), abrasivity (fig. 3), humidity absorption (figs. 4 and 5) and flow properties (fig. 6). The left column in each group (1-3) represents the CAN fertiliser. The right column represents the NPK fertiliser; except in figure 4 where all columns represent NPK, and in fig 5 all columns represent CAN. The columns in each group (1-3) show the humidity absorption after 5, 24, 48 and 72 hours. The NPK fertiliser is of the type NPK 24/6/12 (which shows the composition). The CAN is of the type CAN23 (MgO). The fertiliser pellets were sprayed first with talcum and then with oil. The oil was sprayed using a hot spray gun. The pellets were kept for one hour in a sphere at 100 percent humidity, then put into a press at a pressure of 1 kg/cm2 for 24 hours. Subsequently, the energy needed to break the caked pellets was measured, shown on the y-axis (fig. 1). The stated result is the average of 5 measurements, with a standard deviation of 2. The pellets were stored at 23ºC with a humidity of 55 percent. Once a week a sample of the product was sifted for four minutes. The difference in weight between the pellets before and after sifting is a measure of the amount of dust produced. 10 to 15 grams of the fertiliser pellets were stored at room temperature with a humidity of 100 percent. The samples were weighed after 5, 24, 48 and 72 hours. Fertiliser pellets were spread out on a board, which was then tipped progressively. The incline at which all of the pellets flowed was then measured. This value indicates the ability of the pellets to flow easily. The addition of talcum powder and oil significantly increased the flow properties of the pellets. The tests showed clearly that the addition of an anti caking system improves significantly the fertilisers storage behaviour. Comparing the influence of the oil, using the Nynas Nyfert 400 oil gives better results on all parameters compared to the paraffinic oil used in this test.